"We've been working with the Ministry of Health to recruit health workers to be placed in potential areas of outbreaks as well as isolated areas, we are recruiting"
"We have been working with the Ministry of Health to recruit health workers to be placed in potential areas of outbreaks and isolated areas, we are recruiting," Papua Head of Public Health Office Aloysius Giyai said in Jayapura on Tuesday. Aloysius expects this mid-year recruited health workers to be placed in potentially outbreaks. "There are 17 potential areas of outbreak and then there are 14 areas that are still isolated in Papua," said the former Director of Abepura General Hospital. According to Aloysius, his side has mapped the places that are targeted placement of health workers to be recruited. 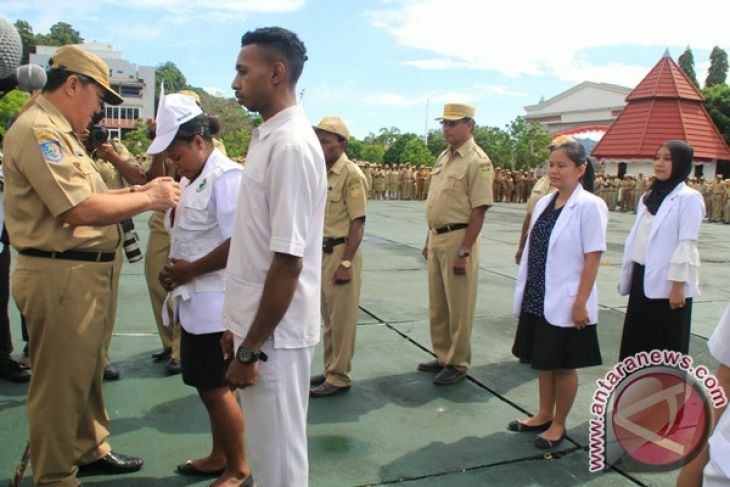 "We just started the placement of health workers in isolated areas and potential areas of outbreaks in Asmat District and Korowai Batu area, Boven Digoel Regency," he said. Then, he said, the placement in the region of Samenage, Yahukimo District and in Yigi area, Nduga District.